Fuji Electric's PUM range of temperature controllers provide expandability at reduced costs per loop. 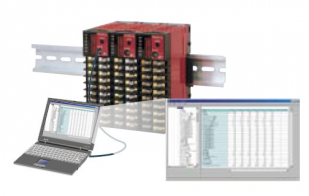 Full integration of PLC functions, with digital input/output signal processing, up to 16-k steps and 300 points - for PLC programmable Logic Controllers performances. The Fuji PUM series is an ideal process controller to work with HMI touch screens, such as Hakko Monitouch V710 series (10"Hmi). 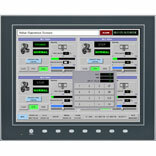 The units are designed to operate on their own, or in conjunction with a large range of PLC's (programmable logic controllers), HMI's and SCADA systems. Configuration is carried out via a PC link. Specific applications can be pre-programmed by our engineers prior to despatch. 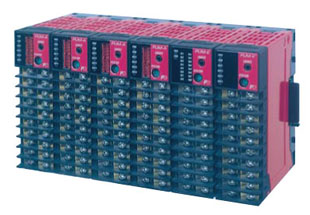 When they are used on their own, the PUM range of modules can handle single or multi-loop control applications and provide PLC, alarm or communication functions. Alternatively when used with a PLC, time consuming operations such as fast response multi-loop control can be delegated to the PUM, allowing your PLC to focus on supervisory or safety critical operations. The modular design of the Fuji PUM allows individual units to communicate to each other without wiring. For example additional alarms automatically become available on the addition of a digital output module with no inter-module wiring. Standardisation of detachable terminals also reduce wiring and re-wiring while you swap modules. Full integration of PLC functions, with digital input/output signal processing, up to 16-k step and 300 points - for programmable Logic Controller performances.